What does a mature company do when organic growth eludes it??? You guessed it – buy another company of course! 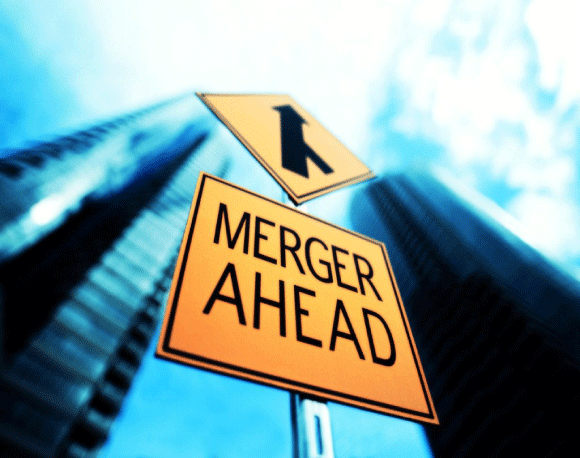 In the first quarter of 2015, global mergers and acquisition transactions totaled almost $900 billion, a quarterly rate not seen since 2007 according to Dealogic. As of late, there has been much discussion regarding whether “quantitative easing really was/is the best solution to the 2008 financial crisis.” A new report from Swiss Re stated that U.S. savers alone lost $470 billion in interest income even after factoring in the effect of lower debt costs. What this really means is that those individuals who played by the rules, saving their money for retirement, not taking on too much debt, have been punished by those who have been irresponsible. Those prudent citizens get close to zero percent on their CD’s and bonds and are forced to rotate into riskier assets to fund their retirement. A friend of mine recently commented, “Life is just not fair.” Well, my friends, that is correct. Notwithstanding the approximate $9 trillion increase in stock market wealth since 2008, there is no clear evidence that this has translated into additional consumption from average households. If consumer demand remains at these depressed levels, it is no wonder that companies are looking to consolidation and stock buybacks to lift share prices. Neither the economy nor the markets look strong enough to me to sustain a rate hike although Fed Chairman Yellin keeps expressing her desire to do so. Interestingly, Vice Chairman of the Fed, Stanley Fisher, talks publicly about the rate hike being “data dependent.” It feels like a good cop/bad cop routine to me! I say “take a hike” to raising interest rates until we see unequivocal evidence of sustainable growth. There was a “lack of luxury” disappointment for shareholders of Michael Kors last week. The shares dropped 25% just last Wednesday after announcing disappointing results. More disappointments like these may be forthcoming in the luxury space. JP Morgan announced another layoff of 5,000 employees. Sources tell us that this loss of jobs may be the result of the cost of hiring the swarming ranks of compliance persons now necessary to bring businesses in line with government regulation. These regulations will long be a source of great expense for financial services organizations. The Chinese stock market experienced a 6% sell off one day last week – fear and panic set in immediately. Interesting how very few have this fear of “upward” volatility! As May ended, we saw treasuries rally and the stock market zig/zag. With zero interest rates, who really knows how equities should be valued. History tells us to be cautious after long bull runs in the market. We are taking that view by continuing to emphasize dividend payors, high quality bonds and well-positioned hedge funds. We are also looking at interesting real estate investments for our portfolios. Please let us know if you would like to receive information in this area. As summer approaches, we are watchful of the unfolding European drama related to Greece, the eventual resolution to Puerto Rican municipal debt problem and the on again/off again Chinese economic landscape. Any serious issue with any of the above could spook the markets. We have learned that when vulnerability exists in economies and markets, the smallest ripple can create waves. The Greek philosopher Epictetus said “wealth consists not in having great possessions, but in having few wants.” What is it that you want???? Wear Sunscreen.